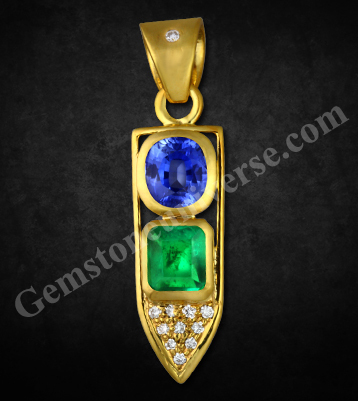 You are here: Home / Jyotish Gemstones and Talismans / Bedazzling Astral Trinity Pendant having Colombian Emerald of 1.31 carat and Natural unheated Blue Sapphire of 1.91 carats & an array of Diamonds! 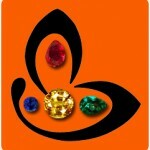 A Planetary Talisman Par excellence with flawless Gemstones! Price is undisclosed due to patron request. You can select your own gemstones from the inventory or ask for a custom quote.